Last week I was asked to teach a lesson for marketing purposes. Our marketing director had arranged the lesson for a writer that writes for the Rocky Mountain News. 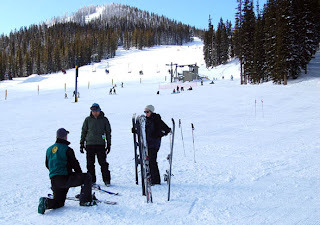 Here is a link to the article as it appeard in an online journal called Real Vail. Click here. I really enjoyed meeting Luis and Patrina. I know I had fun.